Home remodeling project brings open interior design to historic Portland home through collaboration of Emerick Architects and Portland and Seattle remodeler Hammer & Hand. 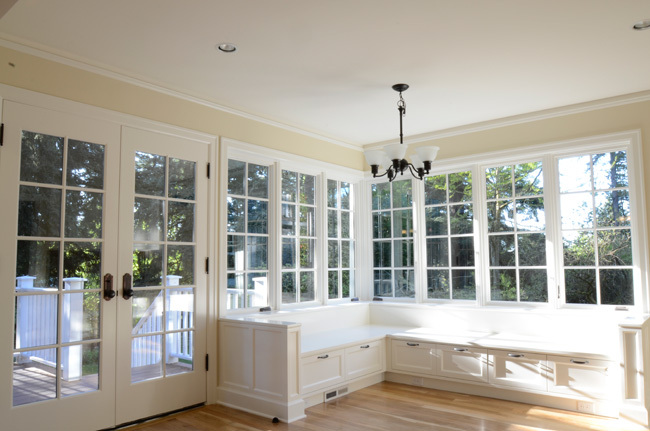 Portland and Seattle remodeler Hammer & Hand announced today the completion of a 1914 home remodeling project in Portland’s Taylor’s Ferry neighborhood. Hammer & Hand collaborated with Emerick Architects to renew the historic Portland home to accommodate the needs of a modern family. The home had already undergone decades of tweaks and modifications, pushing the structure’s utility to the limits. When the clients wanted to do a home remodeling project, small adjustments were no longer an option. So the builder-architect-client team began a complete reset of the home. The design and aesthetic of the home remodeling project was guided both by the clients’ desire to stay true to the original character of their family home and opportunity to take advantage of a more modern, open interior architecture. The remodeling team added windows and doors to open up the kitchen space, allow natural light to fill the room, and connect it to the back deck and vibrant garden beyond. Emerick Architects employed bright materials throughout the design of the home remodeling project to bring more light into the house. Hammer & Hand used Oregon-sourced reclaimed historic white oak throughout the remodel to lighten darker areas of the home. 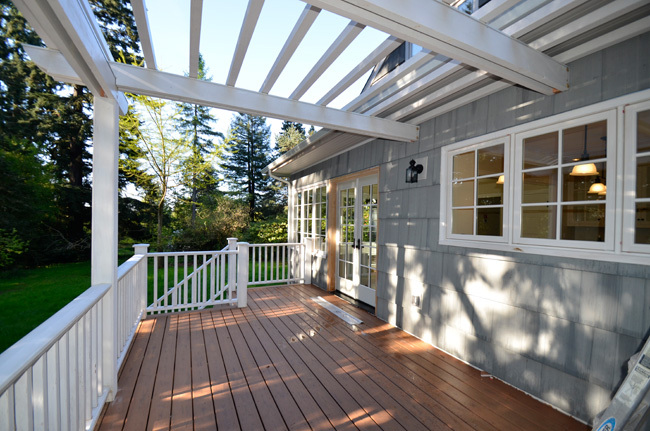 Learn more about Portland home remodeling services by visiting Hammer & Hand’s website at (http://www.hammerandhand.com). Hammer & Hand is dedicated to stewardship of the built environment through craft and science, everything from home remodeling to deep energy retrofits to modernist Passive House structures. Taylor's Ferry Home Remodel By Portland & Seattle Remodeler Hammer & Hand and Emerick Architects. (Photo by Emerick Architects)Portland Home Remodel By Portland & Seattle Remodeler Hammer & Hand. 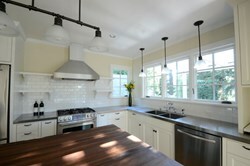 Taylor's Ferry Home Remodel By Portland & Seattle Remodeler Hammer & Hand and Emerick Architects. (Photo by Emerick Architects)Portland Home Remodel By Portland & Seattle Remodeler Hammer & Hand.